FutureLab had an interesting post the other day asking whether Pinterest – and its visually focused layout – is the future of the web. For those who haven’t heard, Pinterest is the hottest social network of the past year. The site is a “virtual pinboard that lets you organize and share the things you love.” Since its beta launch in March 2010, traffic is now up to 11 million weekly visits comprised of nearly 60% women. In the evolutionary development from blogs to Facebook to Tumblr and now to Pinterest, there has been a steady shift toward more images and less text, as well as easier, one-click ways to share this visual content with everyone else on the Internet[…] In 2012, this shift will become even more profound, as sites like Pinterest lead to a re-thinking of not just the way we curate information on the Web, but also the ways that we purchase objects and discover new connections on the Web. Marketers and media outlets have been quick to get involved with Pinterest for obvious reasons. For retailers it’s first and foremost an unexpectedly welcome new channel of e-commece that hits the coveted female 25-44 demo. But perhaps the greater value exists for brand and research purporses. At its core, Pinterest is a public collection of social objects that lets users carve out an identity based on the mix of things they like. 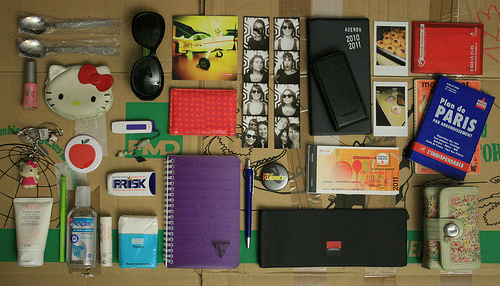 It’s “what’s in my bag” on steroids. It’s “what I wish was in my bag… and in my closet.. and in my kitchen… and on my bookshelf… “. It’s an endless tap of research into audience interests. A few years back companies like J. Crew and Club Monaco challenged the retail status quo and recognized the power of curation, inviting complementary brands into their stores to bolster their own brands . With Pinterest, organizations can now do this in virtual real-time on an on-going basis with the click of a button. Just like their followers, brands can shape their own identities, and ultimately their stories, by collecting and sharing the things that form their point of view. Whole Foods has already attracted thousands of Pinterest followers with an addictive mix of images around themes like “delicious art” and “creative Christmas projects.” And it’s not just consumer-facing retailers with stuff to sell who are getting into the game – both The Washington Post and The Today Show also have created Pinterest boards. And that’s where things get interesting. We’re not just talking about “pinning” pretty images or cool-looking products anymore, we’re talking about “pinning” ideas. We’re talking about media companies as lifestyle companies, about content creators as curators with a unique visual aesthetic. 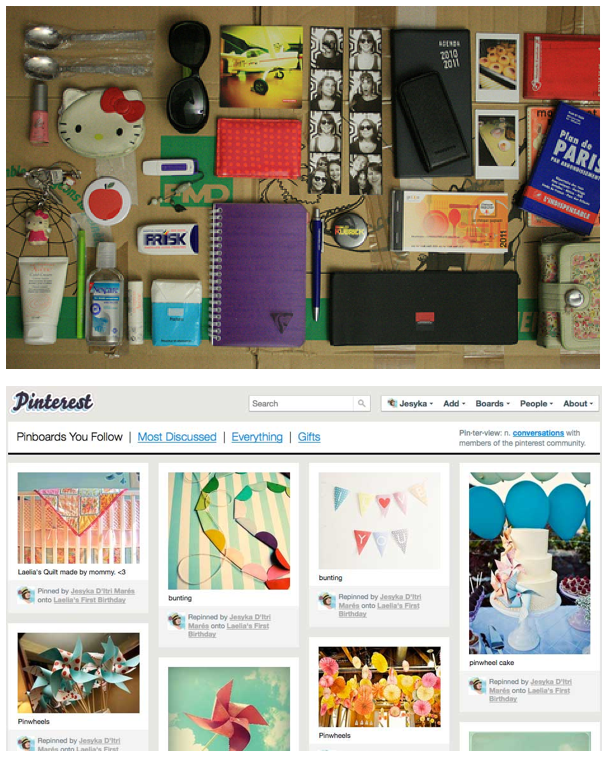 Currently Pinterest looks like a style-centric product shop of personalities. But, as the above excerpt suggests, the real potential for the site may lie in its ability to facilitate exchanges that are as substantial as they are stylistic. A visual pinboard for ideas is an impressive offering. Hopefully it’s coming soon. This entry was posted on January 15, 2012 by sean hazell in His Nurture Posts and tagged curation, identity, pinterest, visual web.